Acting as a hotspot for kiters to hang out together and benefit from our experience, we leave our doors wide open for everyone to get involved with everything we do. Aside from our teaching responsibilities we make sure to keep in touch with everyone, sending out session updates and weather forecasts, as well as making plans for social events and get togethers whenever we can. 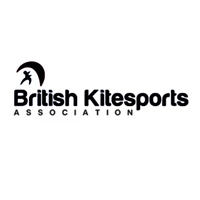 Thursday night is our dedicated kite night, when the wind is up we organise downwinders, freestyle clinics and photoshoots on the water and when the sun shines we fire up the BBQ or head to the local watering hole for a few cold ones and a catch up…sometimes even a film screening. Drop us a message with your number and we can add you to our wind alert and keep you in the loop about anything we’ve got going down. Otherwise, we’ll update Instagram and Facebook with any plans as we go.